To learn more about the vulnerability, see Microsoft Security Bulletin MS15-104. 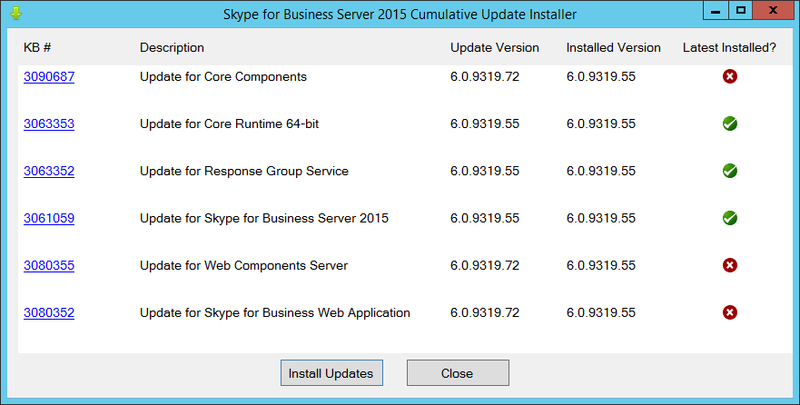 This update takes the server from 6.0.9319.55 to 6.0.9319.72 – although there are only three components affected. This cumulative update resolves an issue in which KB3095143 Windows 10 users who use Edge can’t join a meeting from Skype for Business Web App. 14th September : This is the initial release. 19th September: Added the “Edge” fix to the “what’s fixed” list. (Thank you @kevinwbird).